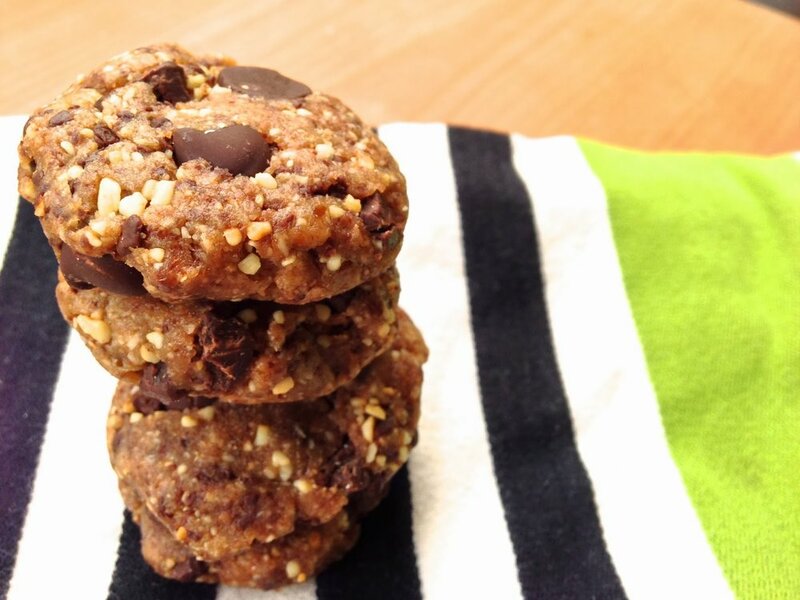 I didn't know what to call this recipe at first... it's kind of like a chocolate chip cookie dough Larabar. It's also kind of, like, VERY DELICIOUS. I usually don't approve of calling things what they are not, but this healthy, raw, paleo nugget does cookie dough proud. And you could ball it up and put it in paleo ice cream so I'll have none of your lip about the name. This life-affirming ball of sweetness was concocted in five minutes before I went to work, so get at it. Put all of this in the food processor. Blend 'til the mixture starts balling up to the consistency you want. Not too wet, not too dry. Add extra dates/nuts/chocolate as you see fit (I eyeballed these measurements, so apologies if they aren't quite spot-on—I'll update soon with exact amounts). Then press into bites, balls or bars and EAT. You can also fridge or freeze these for later.